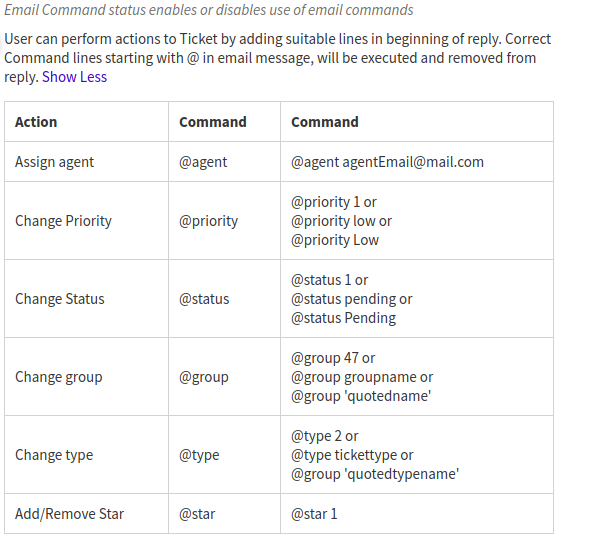 E-mail commands ease the way you handle tickets and perform actions on them. With this, you don't need to open your UVdesk dashboard every time to manage tickets instead, you can harness the power of your email service provider by using email commands. 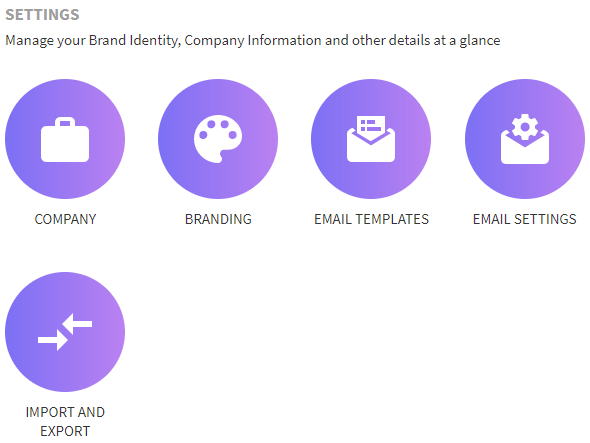 On the Dashboard, you will see "SETTINGS" menu and under it, you will find "Email Setting". Click on the "Email Settings" Icon and then you will be redirected to a new page. By default the settings are disabled, you need to check in order to activate email commands. To see the list of email commands which you can perform, you can click on Show More to expand the tab. In order to use email commands, you just need to open your email ID which you have used while signing up for UVdesk and from there you need to enter correct email command lines starting with @ in the email message. The email commands will be executed and are not visible in the ticket message to the customer. Email commands can only be executed by the agents who have been assigned privileges, so to use email commands make sure that the required agents have got privileges to perform actions on tickets.